I know. It’s a big, scary looking thing but once I explain it, it’ll be about as scary as a chocolate covered cotton ball. Which is actually incredibly scary. You’d think it was a nice round chocolate you were biting into but inside would be horrid squinchy cotton. Like running fingernails down a chalkboard but for your teeth. So, we’ve all been there I’m sure … hung a nice full sized cow on our wall only to have it fall down in the middle of the night, scaring the farts right out of the cat. It happens. But it doesn’t have to. For some reason people are under the impression that hanging things on the wall is frightening. I think it’s the whole things falling off of the wall scenario we’ve all lived through. But that’s only because you’re using the wrong drywall anchors. I’ve used them too. I’ll admit it. Those plastic coloured anchors that you hammer into the drywall. You keep screwing and screwing your screw into it and it just keeps spinning and spinning because it isn’t actually grabbing onto anything. But you hang something off of it anyways even if it doesn’t seem like it’s going to work because you paid for it and installed it and can’t think of any other way to do it. Then your cow falls down. It’s because those plastic anchors aren’t really meant for drywall. They’re usually meant for solid walls like concrete. They *can* in certain circumstances be used for drywall but you’re taking your chances. Enter the hollow wall anchor. In this case the classic “Molly Bolt”. 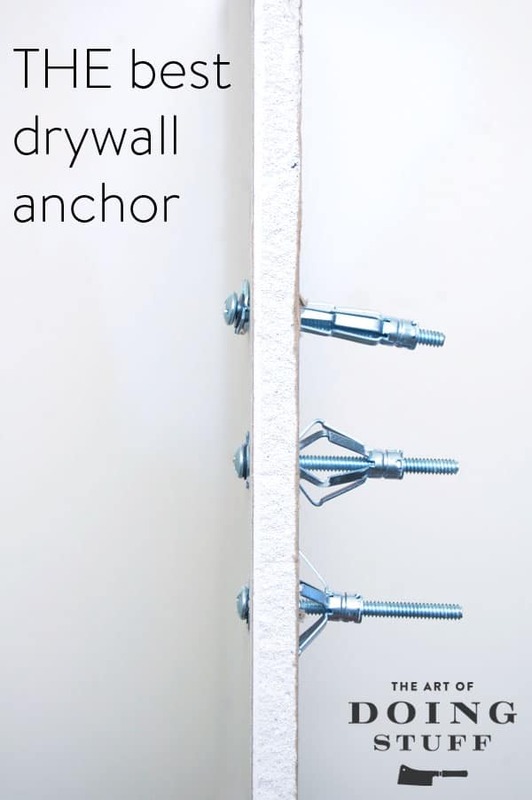 THESE are the only drywall (sheetrock) anchors you should use. They are the best. How do I know they’re the best? Just ask Bessie. These are my favourite anchors. Yes there are others like screw in anchors and toggle bolts and a bunch of other things, but these are my favourites so that’s why I’m talking about them and telling you to use them too. 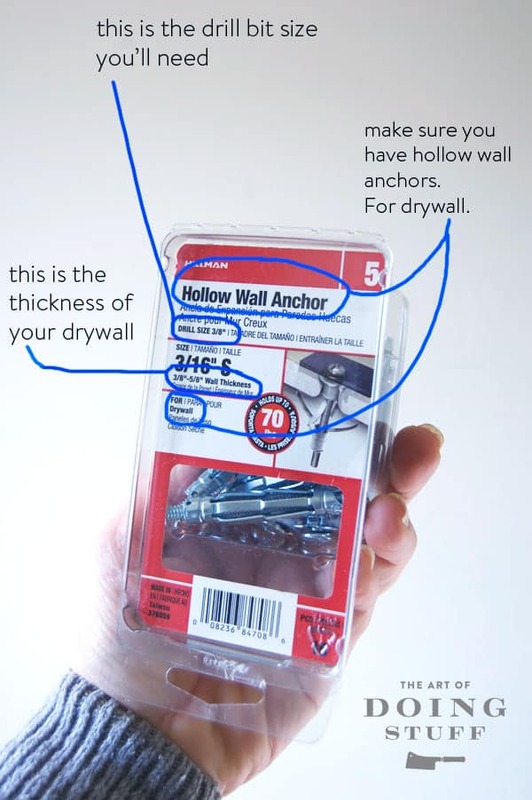 Make sure what you’re buying is indeed a Hollow Wall Anchor for drywall. Note the size of the drill bit that they recommend you use and make sure you own one! Also best to make sure you own a drill. Mark the place on your wall where you want to hang something. Using the right sized drill bit, drill your hole. DON’T go wiggling all over the place with your drill. 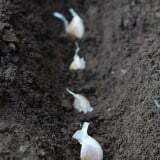 Hold it stead and drill straight in and pull straight out. If you wiggle you’ll actually drill a larger hole. Take the Hollow Wall Anchor out of the package and hammer it straight into the wall. You don’t have to adjust it or fiddle with it or anything. Just whack it in there. If you look back up at the first picture I showed you you’ll see that there’s tiny teeth under the flat edge of the anchor. These will grip into the outside of the drywall so make sure you hammer it in good. Now you get your screwdriver and start screwing the screw in. I know it looks like it’s already in (and it is) but what you’re doing at this moment is creating Hollow Wall Anchor magic. As you screw the screw in, a sort of flange is being pushed out at the back of the drywall. The more you turn the screw the tighter and tighter the flange gets. Just keep turning until you can feel some good resistance. It may take a while and you might get bored. Once you’ve screwed it in to the point that you feel the resistance of the flange (I’m not really sure that’s the right word to be using) against the back of the drywall you can start unscrewing the screw. Again. Totally boring. 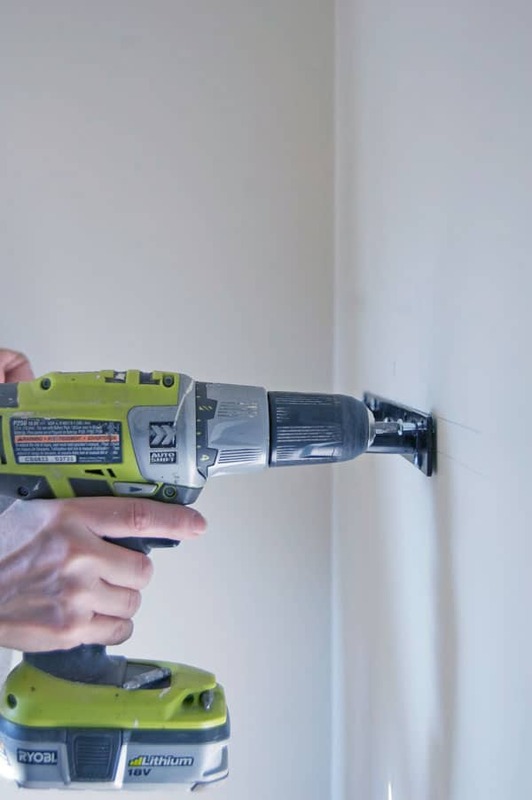 I recommend doing it by hand though and not with a drill because you don’t have enough control over the drill and if you screw your Hollow Wall Anchor in too tightly you could end up squishing your drywall and ruining it. Just do it by hand. Super exercise for your wrist anyway which will come in handy the next time you slap someone. If you’re only hanging a mirror or picture then you can just pull the screw out enough to get your wire picture hanger over it. If you’re attaching something to the wall like a bar or TV mount you might have to remove the screw entirely and then, yes, screw it back in again. And don’t worry. Undoing the screw doesn’t do anything to the flange. It stays rock solid. That baby’s in your wall for good now. Seriously. To remove it you have to just hammer it into the wall and cover it up with drywall compound. Yes. I know. That’s scared you even more. You will now never hang anything on the wall again. You say that now, but one day you’ll be driving around the countryside, hit a cow by accident and then what? How do you think you’re going to hang it? I hope you paid attention to all of this because tomorrow I’m going to show you something you’re going to need this little Hollow Wall Technique for a DIY I’m posting about on Wednesday. A DIY that one year ago saved my life. How to Hang a Picture. Three Different Methods. Thanks so much for explaining how to use these anchors. They’ve always seemed really confusing to me because I had no clue what was happening ‘behind’ the wall. Your pictures made it so easy to understand. Now I can get started hanging up all the crap I’ve stored in my guestroom closet. 🙂 ~ ~ Judy D.
You’re welcome Judy D. I figured a photo like that would help people. ~ karen! Thank you, thank you! I’ve always tried those stupid little plastic thingys and they don’t work!! I will be looking formthese things at Ace next time I’m in there. Hey, I just went to thw auto parts store and bought new bulbs for my rear window brake light and replaced them. I feel like a fricking genius! It’s the little things, yeah? It ain’t that hard, any of it. 😉 ~ karen! I know it’s a learning curve but in deference to those of us over 55 can you please lighten or enlarge your text on your new site! I can barely read it. To enlarge the text in any post: Use Control Plus…… Simply press the ctrl and + keys at the same time. You can do this until the text is the size you want and when you want to go smaller, use ctrl and – keys simultaneously. Wow! It worked like magic! Thank you for such a great tip – I’ll have to tell all my friends! Thanks Sherry! The way things are with a post having to look different on so many different types of screens it’s *really* hard to get it to look really great on all of them. There’s always going to be a bit of an issue with one of the devices. ~ karen! Well, why did no one ever tell me that before? Forget DIY stuff how about more DIY my stupid computer stuff? Hmmm . 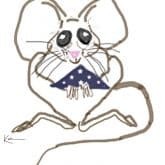 . . any idea why some of your pics are teeny tiny and others are huge? The tiny ones are like thumbnails and the huge ones are, well, pretty big. Also the titles in bold print are stretched out horizontally. Weird. Ok well that was even weirder . . . the second I posted my comment above, everything was ok, although some of the print still looks a little stretched out. Maybe I should just have another Jack Daniels or go to bed or both. Um. No. NO idea actually, lol. What are you reading on? Phone? Tablet? Vertically? Horizontally? I assume it has something to do with “responsive”. ~ karen! iPad mini, horizontally . . . husband claims I am the only person who uses it horizontally. I don’t have a smart phone or want one, I proudly use a “vintage” flip phone. Guess that makes me an old gal, apparently lol. Btw, what do you mean by “responsive”? Whenever I hang a cow I use the hollow wall anchors. For lesser tasks the Nylon Phillips Drive Drywall Anchors are quite reliable. Aha, now I know how to use those megafties – thank you!!! Well, you’re best moving to Canada if you have the choice. You stand a much better chance of winning spelling bees here. ~ karen! “I hope you paid attention to all of this because tomorrow I’m going to show you something you’re going to need this little Hollow Wall Technique for a DIY I’m posting about on Wednesday. GREAT, you. make me lie in bed imagining all kinds of drywall and hanging disasters. Guess it beats lying in a very old rental accommodation bed cursing the springs and worrying about my new daughter’s mother… but still…. REALLY? Teri! Teri! Wake up! Are you awake?! WAKEEEE UPPPP! See you on Wednesday. 🙂 Also nothing says festive occasion like sea sickness. And I know. I once spent Christmas on a cruise. ~ karen! I watched the video Christina and I kept thinking … But why? Why go to the bother of removing the disk if you’re just going to push it in anyway? Then I realized that this way the whole anchor would fall down the wall and disappear forever allowing you to fill the entire void in with drywall compound. 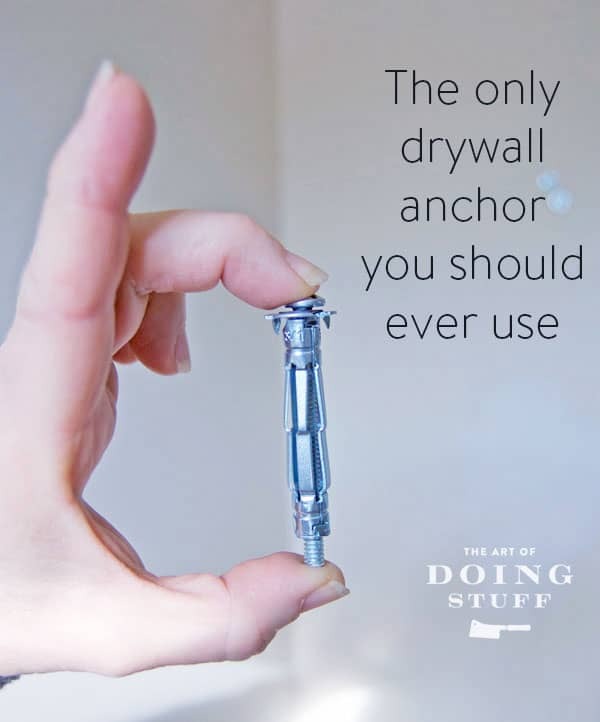 If you don’t care about getting rid of the entire anchor then doing what I say and just tapping the bolt into the wall a tiny bit and filling with drywall compound is fine and faster. But if you want to get rid of the whole thing for some reason, this is a good way to go. ~ karen! Just want to say – Lurve this community. How do you work out the weight limit for hanging assorted bovine and porcine beasties? Our problem here are wild boar – which always gets me humming Duran Duran – oh well. Looking forward to Wednesday. Oh geez. It’s really a bit of a guessing game once you get into wild boar. They’re feisty. ~ karen! Excellent! That will be great for the basement. Do you have any suggestions for hanging livestock on plaster walls? My poor walls are completely bare. I do. I’ll do a post on hanging things on plaster or brick in the future. ~ karen! Whoohoo! Looking forward to it. In the meantime, I’m choosing to view my naked white walls as Scandinavian serene. 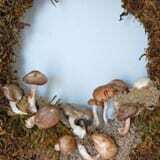 And to hang light artwork on doors using clipped-off wreath hangers. I just don’t want to relive the horror of a massive chunk of wall crumbling into the living room. On the up side, though, I was able to confirm that ancient New England plaster really did have horse hair in it. My current house is only 75 years old, but after that experience, I’ve been too nervous to try it again. Oh yeah…brick…brick please…I need to know how to hang things on brick!!!! Thank. Like. Thumbs Up. I have lathe and plaster. There is always a lot of cussing when hanging things on our walls. Oh yes please, for those of us who have 100-year-old plaster and lathe walls. I have used some similar anchors to what you show here (and the cheap crappy ones for light things) but sometimes I’m afraid the whole wall will come crumbling down when I least expect it. How do I know how thick my drywall is so that I get the right size? I wondered about that, myself, once. 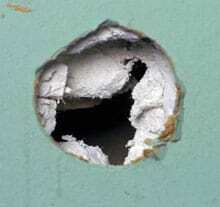 Next time you have a hole drilled in your wall, take a flashlight and look inside it. If it’s a neatly drilled hole, you can see how thick the drywall is. Be aware that sometimes your exterior walls have thicker drywall than your interior walls. Excellent question! For me it was easy because I had a hole in my closet behind the wall I was drilling into. I could literally just stick a measuring tape into the hole and measure it. And that’s what some people will have to do. 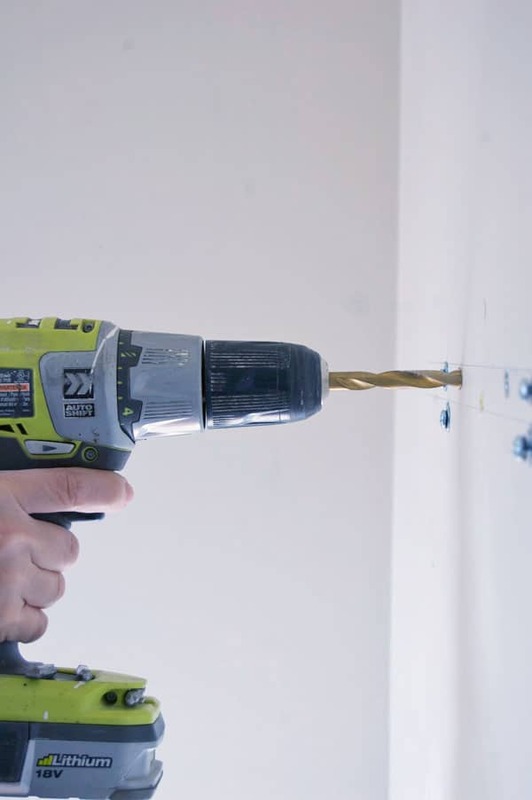 Drill a hole in their drywall so they can see and measure the thickness. BUT if your house was built a few decades ago the standard drywall thickness then was 3/8ths of an inch. Homes built recently would have 1/2″ thickness. These bolts are good for a range of drywall thicknesses so as long as you get a bolt that has a reasonable range you should be O.K. Another way to tell the drywall thickness is to pop off a piece of baseboard and see if you can get a measurement of the drywall from there. Your drywall won’t go all the way to the flooring so you should be able to stick a tape in there to measure. ~ karen! I have an old house that wasn’t always an actual house with drywall over plaster and have just been “creatively” hanging things at stud points. Any ideas for how I can hang things wherever I want? Also, I use neodymium magnets to locate studs which is awesome. I attach magnets to all of the screws, top to bottom, then drop a weighted line down the center to split all of the differences so I can hit the center of the stud, which is fun and pretty handy but I’d really like to be able to hang things wherever I want. Any ideas? Yay! I actually know what a Molly bolt is and how to use it! … and have installed them in multiple houses. We have moved a lot (18 addresses before this one) and I have a large, heavy mirror that needs the strength of a Molly bolt to stay securely in place. Nice tutorial, you little blue eyed thing, you! I don’t wanna post jack you, post block you, or whatever term should be used, but if you are looking to hang something less heavy duty, the even lazier route are monkey hooks, they are amazing! I use them all over my house, well technically only on the inside walls since you can puncture a houses vapour barrier using them on outside walls. all you do is poke it in the wall and they hold up to 25lbs per hook, the heavier duty ones hold more. I even have my bathroom mirror hung up on these bad boys after it fell down off those cheap plastic anchors, and miraculously didn’t break. 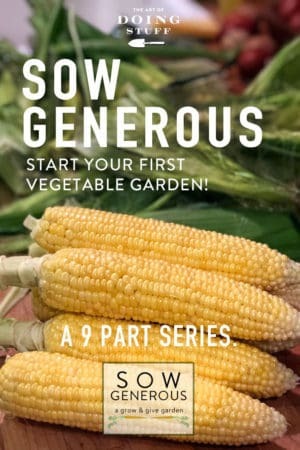 So worth checking out! 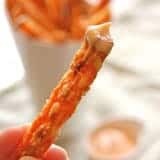 Wow, those look great. I’d thought I’d tried every type of wall anchor available but I’d never heard of monkey clips. Gotta see if I can find them around her. In the U.S. the brand of hooks you describe which was marketed on TV is Hercules Hooks. For some things, yes, they’re great. Were you in Children Of The Corn? 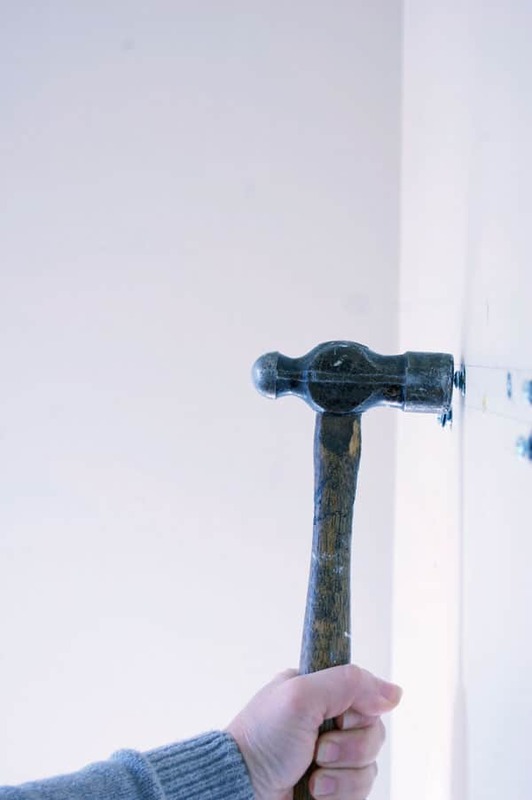 and….. to remove them, take an old screwdriver and a hammer and punch it through the wall. Let it fall down behind the wall – there is no way to reuse them. Now you have a hole the size of a dime that you have to patch, but I think Karen did a DIY on that already…. right? Also, there’s a little stabilizer hook thingy that is in that package. When you’re trying to get it started expanding, sometimes it spins around until it catches. There’s a little weird hook thing in there that enables you to hold the anchor in place until it gets going. I sit on my potty and look at the holes left in my sheetrock from a failed towel rack attempt. I live in a very old house with shiplap walls so I’m not accustomed to nails not holding. This particular wall is the result of a remodel. Just Saturday, I started looking for the proper wall anchor. Yea for you and your post. I’m trying it today. Question: I have set up all around my little house, all the things I need to hang. They have been sitting under or near their intended place for almost 6 months now. I hate to nag my son-in-law and he has been so busy but I’m so afraid I will run a screw or nail into wiring. I know where all the wiring is since I took pictures of it before the dry wall went up but can’t find the pictures. I see the light switches and plugs so I know where the wiring is suppose to be but what if it goes sideways — I’m still chicken. Those screws look soooooo long, and my cow will needs hanging before the holidays just in case I want to string him with lights. Suggestions? There is a thing you can buy, called a stud finder. Some of them also sense where wires are, in the wall. Something to remember: you need to know where the wall studs are. 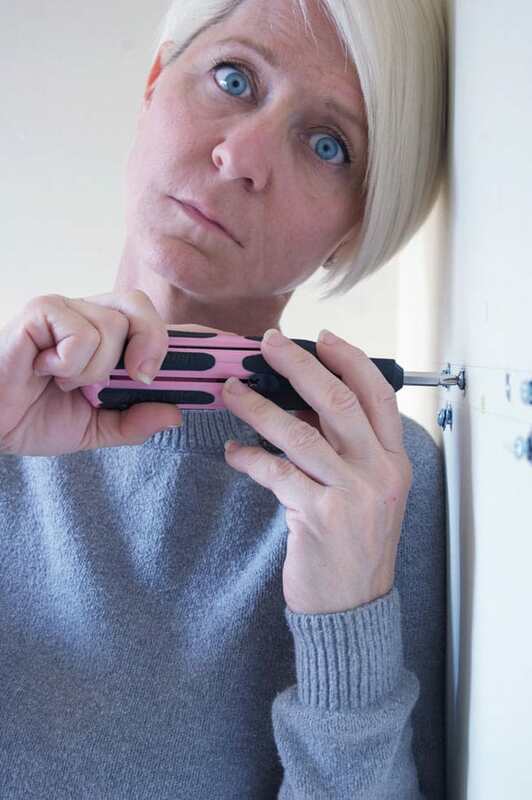 If you’re putting in a screw where the wall stud is, you’ll drill a smaller hole, because you won’t need a wall anchor. You can’t put a wall anchor where the stud is! But then, you don’t need to! ooooooh, I love your hammer, looks super sturdy. for some reason i always manage to kill mine. perhaps i should trade up some, perhaps i should seek help for my anger issues. the last one i killed trying to get rid of some ice on the roof… *hackhackhack* i went, *floop* went the hammer head into the bushes below. meh. Any tips for plaster & lathe walls? I just bought “triple grip” cobra anchors because trying to mount ikea Hugad bay window rod system became an exercise in frustration this weekend, but haven’t tried them yet.. seems similar but plastic. First screw would not go in at all (predrill hit a scary mysterious *something* and would go no further, second screw hit nothing and was completely loose.. I will buy anything that works. They might do the trick. Thanks, Karen, for explaining one of the most confusing-looking DIY products known to man. I must say, however, that for most things you hang up, those colored plastic drywall anchors are fine, and hollow wall anchors would be overkill. If you’re just hanging up a wall calendar, for instance. The easiest thing to do is to buy a little box of about 40 anchors and 40 screws. They give you the right size anchor for the screws, and they tell you, on the box, what size hole to drill. I’ve never had a problem with them. Then, any time you have the urge to hang something, you’re all set. They come in different sizes. Just use a bigger one to hang a bigger object. But for heavy things, like mirrors, draperies, or cows, break out the hollow wall anchors. I’m with Maggie. My 90 year old house has lathe & plaster walls. Are the plastic thingies OK for them? I’ve been experimenting, and so far the plastic ones have only worked in certain situations. These metal ones Karen posted work the most consistently, and never break apart when nailing them into a more solid section (as the plastic ones sometimes do). Great post – I’m a touch more confident, but my problem is more that I’m scared of messing up the drill. Maybe I’ll get there one day. 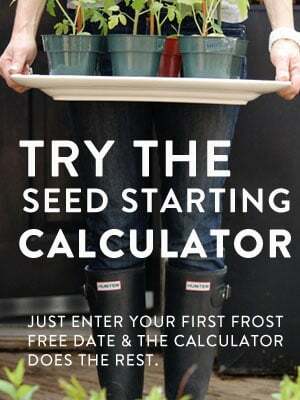 Hope you are enjoying the extended fall – what’s it done to your garden? I hung a grouping around my 46″ flat screen so the TV wouldn’t dominate the wall, and it’s always been a tidge off because I thought the mirror had to be hung on a stud. Now I can fix it! And I learned how to patch a large drywall hole to boot. You explain things way better than the menfolk do Karen. Waaaaaaaay better. I usually just studied the diagram/pictures and did just fine. But it’s putting a big old hole in the wall that scares me. Thanks for making it look a bit easier. Great little tutorial. Nice novel title, too – Resistance of the Flange. “Something scaring the farts out of the cats” is now my absolute favorite expression. We have eight cats, so it could get pretty bad here. 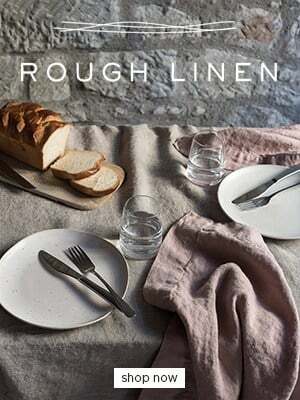 EEEEEWWWWWWWWWWWWWWW. You are right about those plastic “anchors”. My name for them is “a scourge on the GDP”. They belong in the trash. Seriously. You are also right about Molly bolts. They are intended for things you don’t want to remove. They can be removed, but it’s not quick. I don’t know how many times I have had to repair drywall where someone bashed a big hole trying to remove one, or else clumsily mudded on top (true story!). In this context, anything more than zero is “too many”. That’s O.K. Kurt, lol. I have many, many hammers. That one was my father’s and has sentimental value.~ karen! What didn’t I do wrong? I drilled the hole, tapped on the molly gently until it went into wall, and ended up screwing the screw completely through the drywall making a hole! I’m not sure Beth, I’d have to see what you’ve done. I’m not sure if you know how to take a photo and attach it to a comment, but that would help. Do you mean you kept screwing and screwing and ended up smashing through your piece of drywall? ~ karen! 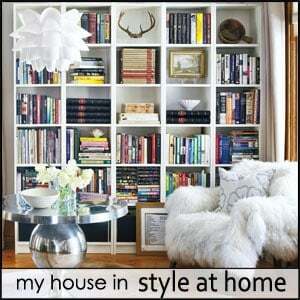 I’ve worked in the home remodeling and handyman industry for years. These are the worst anchors ever. That is why we only see them used in places that are really old when they have been there for decades. Technology has passed them by. Repairing walls in the wake of these are also a pain. There are much better products out there these days. I too have worked in the home remodelling and handyman industry for years and respectfully disagree with you. ~ karen! Toggle Lock, Toggle bolts, EZ anchors, zip toggle……. on and on. Molly bolts are terrible compared to any of these. They cause unnecessary damage to drywall when you need to remove them. Had mixed experiences with these over the years. Often in softer drywall the small teeth wouldn’t grip and it would just trash the wall. Until I found this. Interesting! I will admit it’s sometimes hard to judge when to stop setting the anchor before it starts crushing the drywall. I may order one and review it. 🙂 ~ karen! You just unscrew the fixing head a little, clip it into the gun, push it into the hole and squeeze the trigger. It pulls back the screw and squeezes the fins into place. Saves complication and fatigue of my poor little wrists! I agree these are strong, but I seem to always have issues with getting them started. Those little teeth just don’t bite into the wall enough and end up just spinning and leaving a groove in the wall. I’d love these to work all the time as I like the strength, but I typically won’t use them. 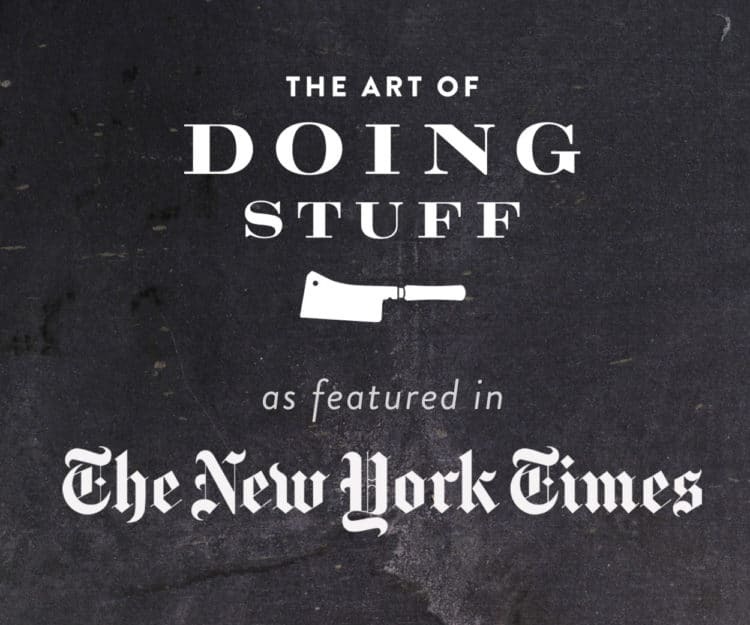 Going to go check out that anchor setting tool now…. Holy Wow! Just watched a video about the setting tool. Amazing. 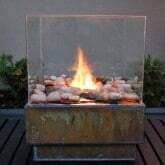 Ordering one now – cause home depot doesn’t have them in stock. Hi Dave. It could be that you aren’t getting the right size of anchor. They come in different sizes for different thicknesses of drywall. That’s the trouble I had with them when I first tried using the years ago. Once I figured out the whole testing the wall thickness before buying the anchors things got better. 🙂 ~ karen! Amazing work Karen! This all comes with experience and just like some of the readers have asked when to stop. It’s very hard unless you are really passionate about that. ha ha! 2. Plus I would say another 30KG water in it. So total say 50KGs for example. Now the wall is a drywall/platerboard. And I am now confused what to choose between molly and these. Please advice. Hey there. I’d go with what the installer has recommended. I’m sure he knows what he’s doing. Although for something like that I would probably be installing it into studs. ~ karen! OMG! Not only did I learn something valuable but you kept my attention & had me laughing until I cried! Nicely done! I will no certainly come back for more! The no should NOT have been there! Karen, you’re a master storyteller. This was a funny AND informative article. I learned that you can install the Molly and then remove the screw! I had lost all hope trying to hang a drop-leaf table. Thanks! For smaller jobs of 20 lbs or less per support (i.e. a shelf with two support brackets and 2 mount points per bracket = 80 lbs), plastic self-tapping screw-in drywall anchors or regular plastic anchors (drill and hammer type) are 1/100th the cost of these and easier to remove. Using anchors of this type for every job (as the headline suggests) is a bit paranoid and relatively expensive, but in some cases if it gives you peace of mind, go for it. Just found a GREAT removal technique for these!!! 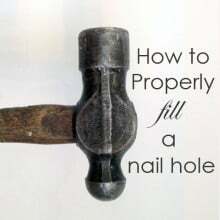 Use a drill bit just slightly larger than the hole in the anchor to remove the outer collar and then the hole is WAY smaller than pushing the entire anchor through the wall. If only you also explained what the 3/16″ size for in the first picture? It shows in the drywall thickness highlight which confuses me. Is it the whole Molly Bolt size ? So that’s a 5mm anchor that goes into a 10mm hole? Wouldn’t that leave a lot of wiggleroom ? Hi Maury! 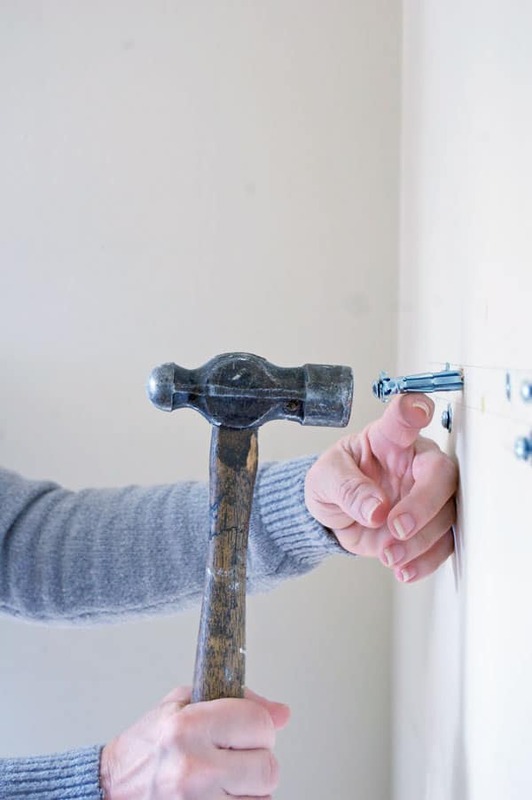 The 3/16ths – 5/8ths is the range of drywall thicknesses the bolt will fit. It will self adjust as you tighten it. It isn’t the thickness of the hole, it’s the depth that it can tighten to. Does that make sense? ~ karen! Thanks to your explanation of course, Thanks a bunch. 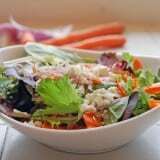 I just discovered your blog, and I love it! Thanks for this clear explanation of how to use these bolts. Can I use it the same way for my walls, which are plaster? If not, what would you recommend for plaster? I need to hang a heavy wood wall shelf/coat rack – 17 pounds plus all the items it will hold, so we’re talking 40-50 pounds total weight. 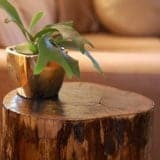 (I noticed in the comments written soon after this post, you said you would make another post for plaster, but I couldn’t find such a post by searching). Your help for how to handle my plaster walls would be greatly appreciated!! Hi Eileen! 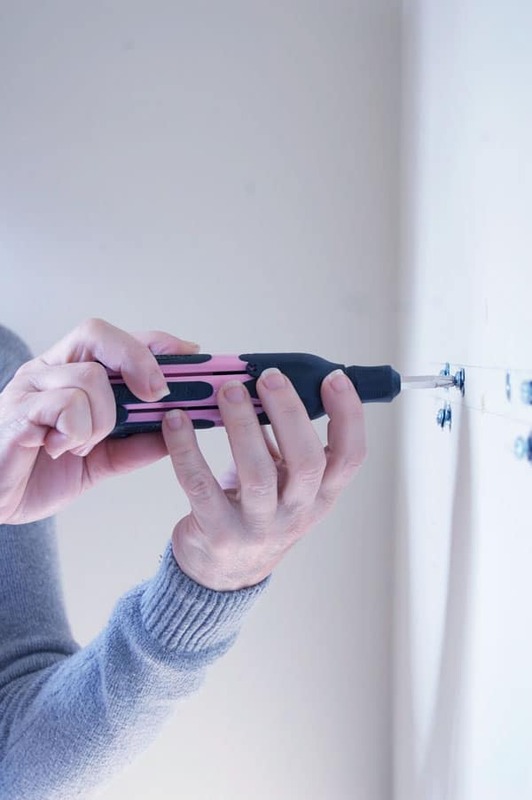 Molly bolts can be used in plaster but it’s trickier you have to make sure you get one that’s long enough (has a big enough space to accommodate the thickness of the plaster. 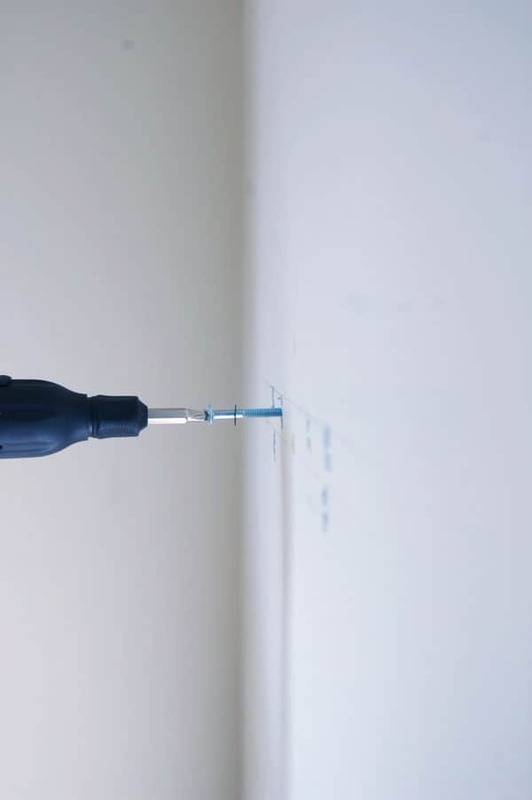 The safest thing with plaster is to drill into studs but studs are a bit hard to find in plaster, plus … we don’t always want to hang things where the studs happen to be. 🙂 So I’d go with Molly bolts as long as you make sure they’re long enough. I’ve also had great success with those tiny plastic picture hangers with 3, short spikes on the back for hanging heavy pictures. ~ karen!